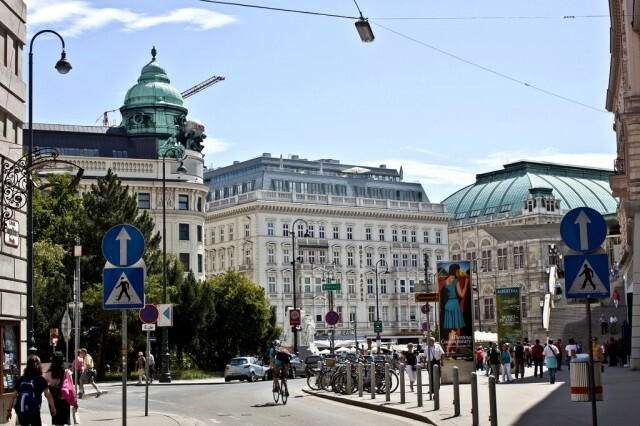 Albertina Square is the centre of tourist life of Vienna. From Albertinaplatts (Albertinaplatz) excursions begin, here it is possible to employ a fiacre for walk, to admire ancient buildings, to sit in cafe. The memorial against war and fascism (Mahnmal gegen Krieg und Faschismus) looks construction "discord" on the ancient area. Against comely ancient constructions angular forms of a monument cause special feelings. The monument is established to victims of Nazism of work of Alfred Hrdlichki here not by a case. Before war before Albertina there was a house. In 1945 in its cellars from bombardment hundred parts of people were lost. The memorial has immortalised their pain and tortures. 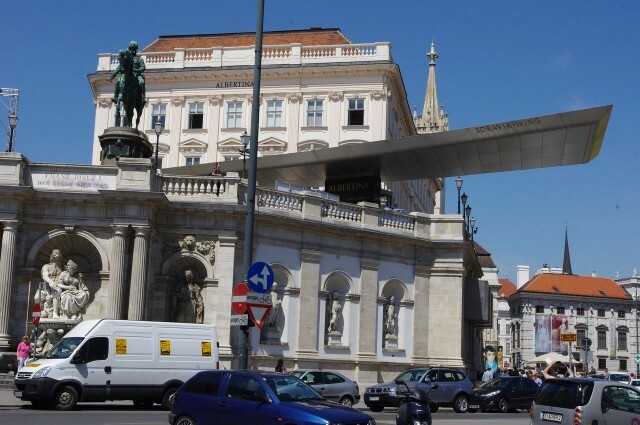 One more construction contrast – a roof wing over an entrance in Albertina. This "modernisation" of an ancient structure causes mixed feelings. The palace эрцгерцога Albrecht (Palais Erzherzog Albrecht) towers nearby in the constant greatness. It is absolutely restored, its rich graphic collection is unique. 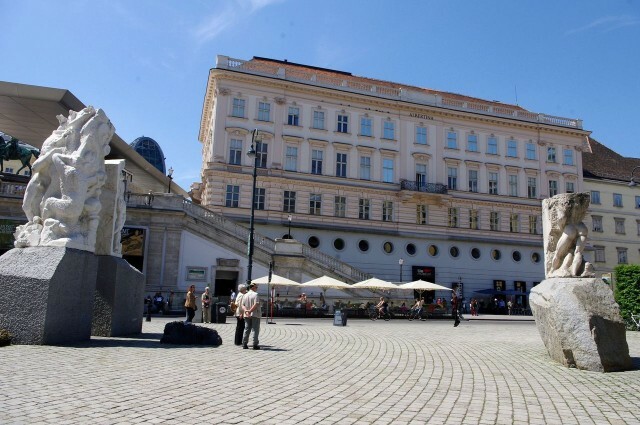 Albertina (Albertina) – one of the most visited museums of the world. Pieces of starenky city strengthenings are reconstructed in a stage. 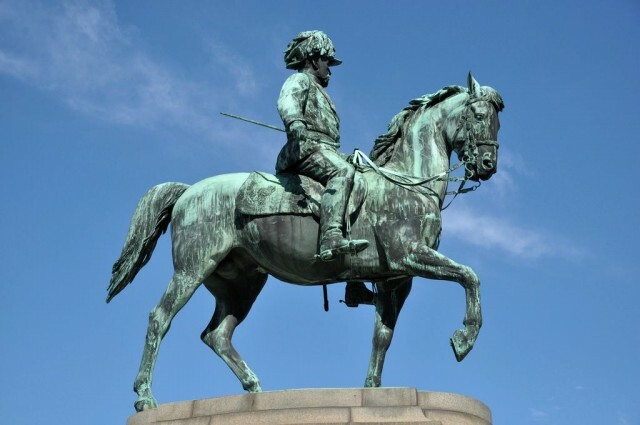 On it the horse monument эрцгерцога Albrecht (won fight is established at Kustozza in 1866) – Caspar von Tsumbush’s work (1899). The founder of composition of a pedestal – designer Charles Kyonig. The sculpture can be made out in details if to rise on Albertina’s escalator. Retaining wall of a stage Albrecht’s fountain (decorates a fountain Allegory of Danube). It is constructed in 1899, in war has suffered from bombardments. Only the central part of a construction has remained. The composition represents god of the rivers – Danubiusa, Vindobona’s defender. The founder of a fountain – Moritz von Lyor; the founder of sculptural group – Johann Meyksner. The Zakher hotel is called in honour of the first owner – Edward Zakher. It has opened in 1876. In its numbers and halls – an antiquarian situation, elite furniture. Sacher Wien is known also for own collection of pictures, but its main values – a traditional Vienna cake "Zakher" and Zakher cafe. The Mozart cafe is clear as small town "card". To this institution more than 2 centuries. It is famous for the Vienna coffee, fine kitchen, a unique batch. Here, by old tradition, people of art gather. 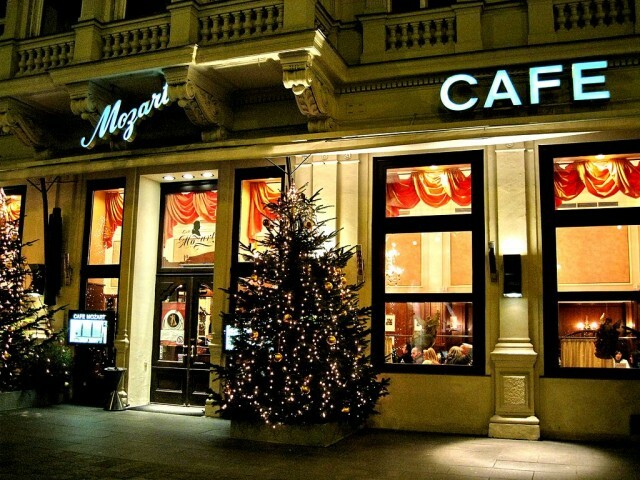 In cafe the atmosphere of Old Vienna with aristocratism inherent in it has remained.